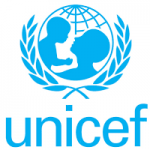 The United Nations Children’s Fund (UNICEF) has called on immunisation personnel in Jigawa state to ensure proper record keeping of children inoculated in the ongoing polio vaccination. UNICEF Representative in the state, Malam Hassan Kano, made the call at the immunisation de-briefing meeting in Kafinhausa Local Government area of the state. Malam Kano also called on vaccinators to be dedicated and ensure effective management of vaccines to facilitate total eradication of polio disease. He said that it was imperative for immunisation workers to ensure proper house marking and fill relevant forms after administering polio vaccines to children. 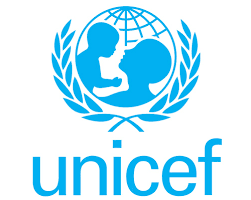 The UNICEF official said that such records were necessary to ensure effective coverage and guide the agency in mapping out strategies for upcoming exercises. “You must double your efforts and commitments in order to achieve total eradication of polio disease,” Kano said. He also urged parents to present their children for immunisation to protect them against diseases. In his remarks, the council Secretary, Alhaji Adamu Bare, urged community leaders to monitor and mobilise participation in the exercise. Alhaji Bare reiterated the government’s commitments to enhance healthcare delivery at the grassroots. Newsmen report that over 88, 000 were being inoculated against poliomyelitis and other child killer diseases in the area. It was also reported that the National Primary Healthcare Development Agency had supplied 90, 000 doses of Oral Polio Vaccines (OPV), and deployed over 500 health personnel to facilitate smooth conduct of the exercise.